You are a true blue star and you need a bold sea blue style! The Tornado Blue Wave Men’s Jammers has a line of wavelengths in rich vibrant shades of sapphire, cobalt, and seashell white. This looks features a cool and modern sunshine yellow Tornado logo at the front and centre underneath the waistband, along with a sleek Tornado monogram on the thigh. 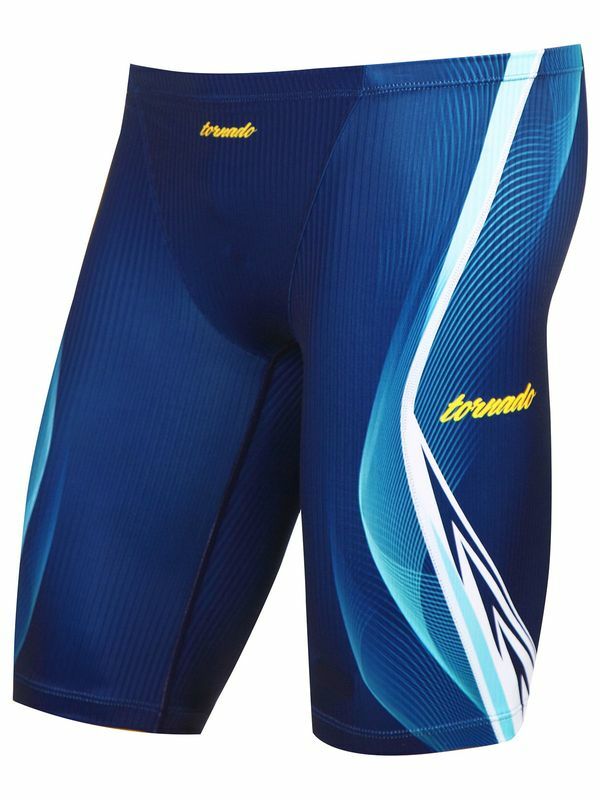 Like everything from this up and coming Korean swimwear company, the Tornado Blue Wave Men’s Jammers was made to stand up to daily training sessions in the sea, sand, and pool!